Wondering how Battlegrounds is supposed to look on smart devices? 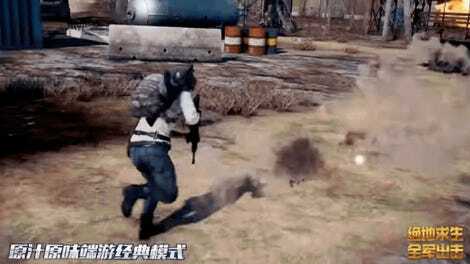 Today, a mobile version of PlayerUnknown’s Battlegrounds was released for China. Developed by Timi, the Tencent-published, Chinese-language game can currently be downloaded from the Chinese App Store. As far as I know, there’s no word yet of an international release. As with any new game, there are some glitches, which should be ironed out. But the gameplay seems fast and fun. And, framerate issues aside, bonkers. You can watch a longer playthrough below via ZhugeEX.